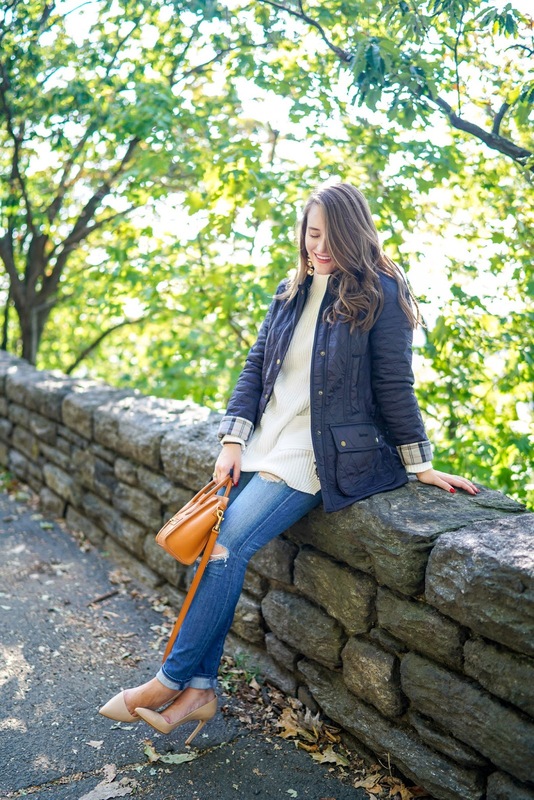 Barbour and fall go together like... peanut butter and jelly. Like sweaters and... haha the list can go on, right?? 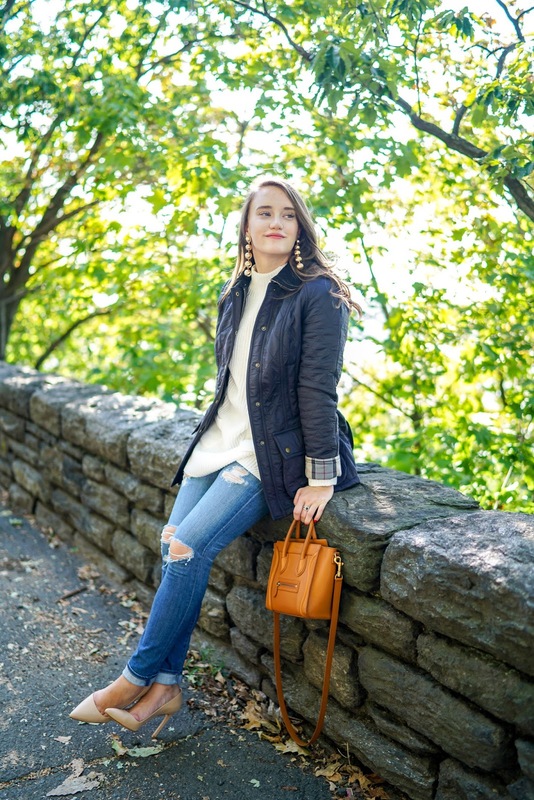 Get your wallets ready because we're about to do some damage with these new fall goodies!! I'm really just excited to break out the sweaters and Barbours I have tucked away in my closet because t's sweater season y'all! 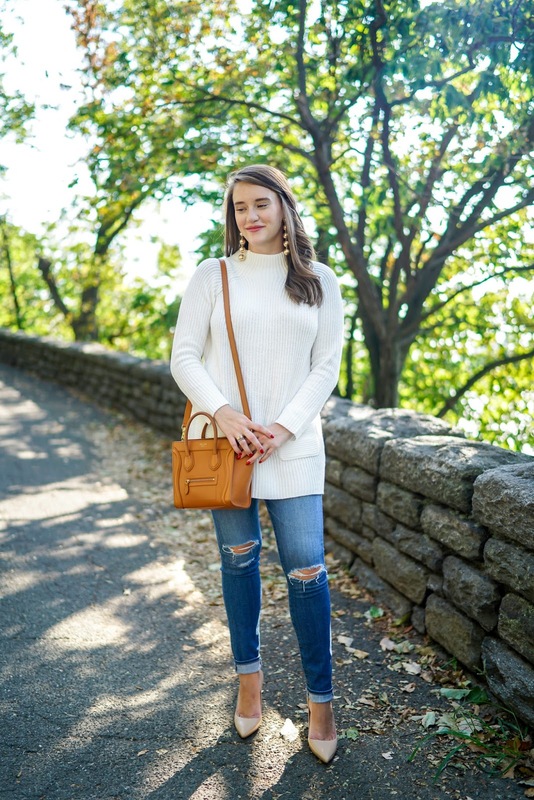 This sweater above is a new favorite for the fall because it's thinner so you can wear it on those so-so days, it's long so that means it will go great with leggings and it comes in a TON of colors. I ordered (no joke) 5 colors when I bought this because I couldn't decide. Thankfully Nordstrom has an amazing return policy!! 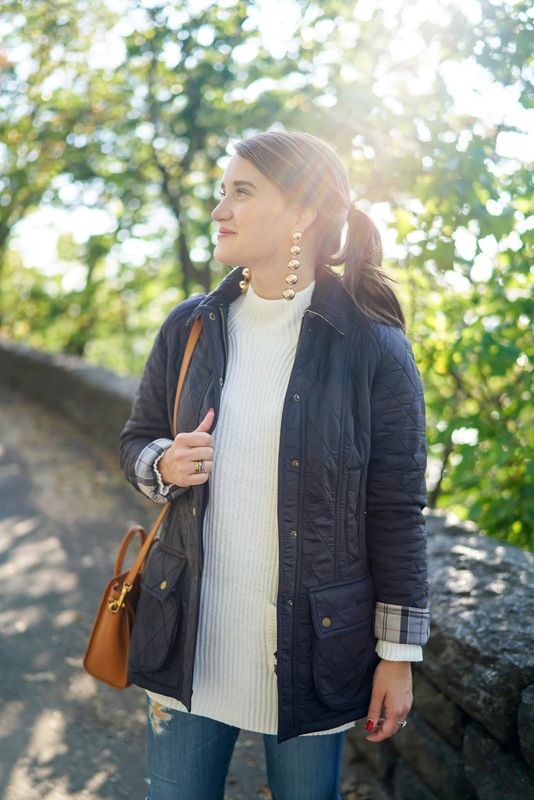 And what's fall without a new Barbour? This style (I believe) is new this year -- at least I haven't seen it yet! A quilted Beadnell? News to me! Of course I snagged it in Navy because #duh. I'm wearing my normal size US6/UK10 (Beadnells run TTS) and it fits like a glove -- even with a sweater underneath! Who else is stocking up for fall right now? I know I'm searching Nordstrom new arrivals daily like give me #alltheturtlenecks. Now I just want the leaves to be as beautiful as last year and we will be good!! 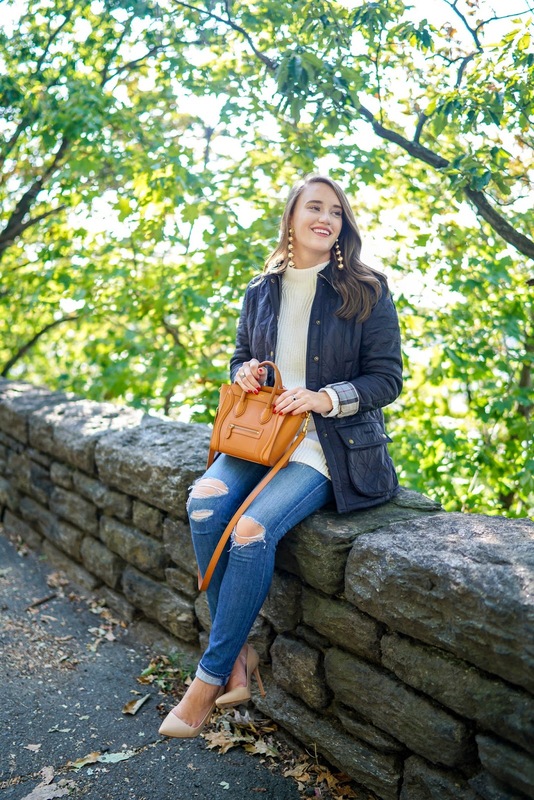 Thanks to Nordstrom for sponsoring this post! 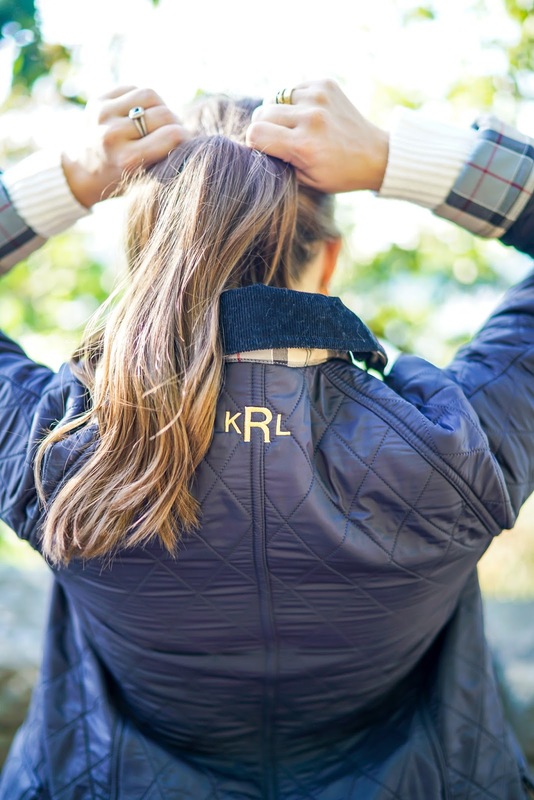 Love that jacket and with the monogram, so cute!! 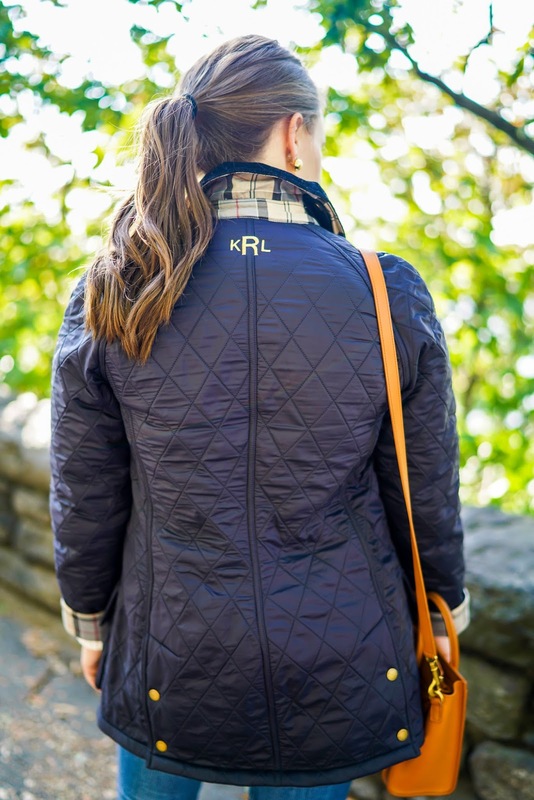 This jacket is everything and I love the monogram! I want one of these jackets so bad! 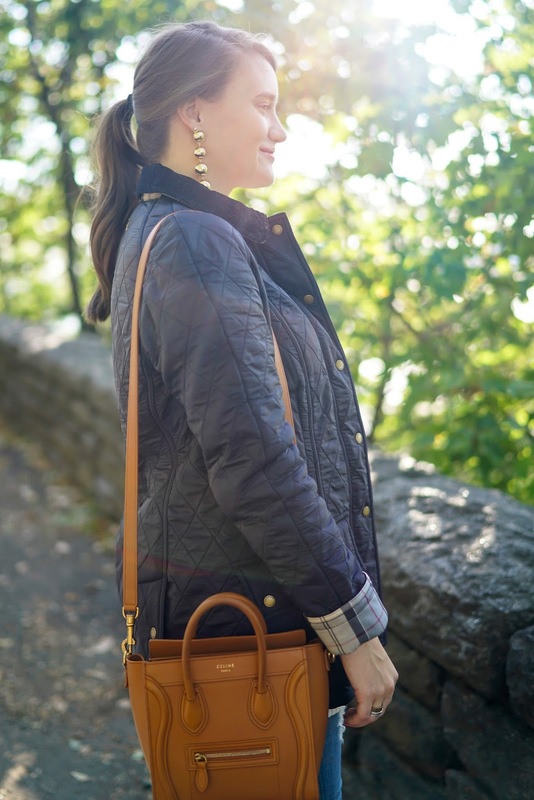 Love love love your Barbour and that monogram. 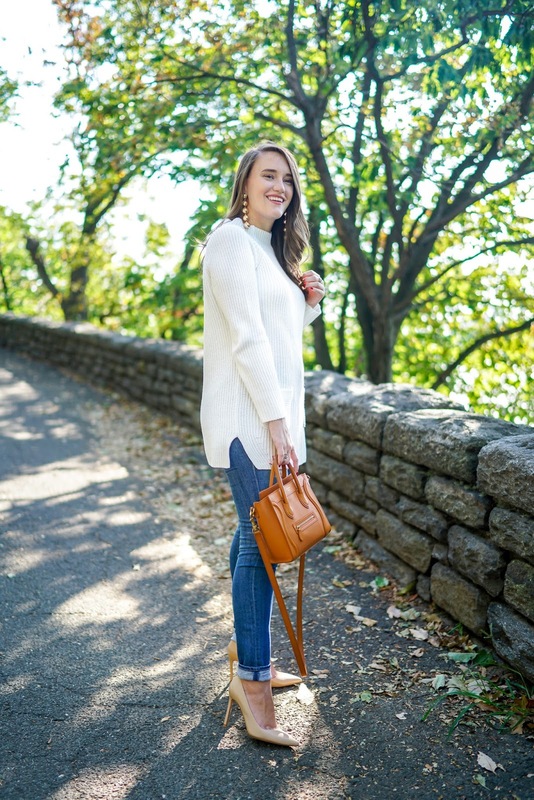 Totally agree that they're perfect for fall! Those earrings are lovely! The light you shot these photos in is perfect!